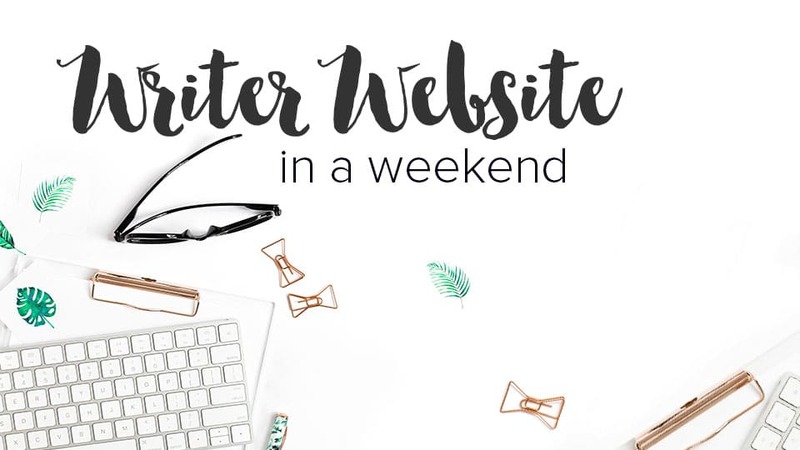 If you are just starting out as a freelance writer or blogger, one thing you need to have is a writer website. If you don’t already have one, you’ll be hard pressed to find any clients or have an opportunity to scale your business. I don’t need a separate website for my freelance writing – I can just use my personal blog to advertise my services. Why do I have to put so much thought into my writer website? All I really need is a “hire me” page and a contact email, to open shop. Both these thoughts aren’t wrong, but if you want to be successful and taken seriously, having your own writer website will help you achieve this. My series, Be a Freelance Writer will help you become a successful freelance writer step-by-step. In Part one, I give you my first three steps to starting out. In Part two, I give you the cold hard truth about what it takes to be a freelance writer. In Part three, I give you the base of your business called your writer platform. It is on your writer platform that you build a successful freelance writing profession. And in this post, I will give you the first level of your freelance writing business – your writer website. With my proven techniques you will have no trouble landing your first client, building your client list and even taking your business to the next level. Okay, so in my last post, I talked about how your writer platform is a tool to help build your brand as a freelance writer. Your website is the tangible portion of your platform. You can see it, navigate different parts of it, create different pages and showcase it to the world. I feel this one tool can help establish you as a legit freelance writer. Not a blogger or a SAHM or a hobby writer, but a person who wants to get paid to write. If you don’t know what a freelance writer website looks like, here are a few websites of some freelance writers that have a powerful presence online. Kristi Hines is probably one of the most recognizable freelance writers out there. When I first became interested in freelance writing, her name constantly popped up on Google’s search pages. I find her structure of having a headshot on the left-hand side with a short introduction copy is a common element I’ve seen other freelance writers (including myself) use. Her landing page also has a “places I’ve been published.” This is integral to appearing credible and in demand. KeriLynn’s page is highly descriptive and tells you in an easy to read copy, who she is and what she does. Her title, “KeriLynn Engel, Freelance Business Writer: Copywriting, Ghostwriting, Blogging & More” is SEO friendly and lets you know right away her niche. Her menu is easy to navigate and displays the most important parts she wants prospective clients to view. Alicia’s site has a great hook, “Need custom blog content?” It makes you want to read more and see if she can deliver. She also makes use of a call-to-action which is her “shoot me an email” button below her photo. She makes it super easy for prospects to quickly contact her for their content needs. Jennifer commands authority with her simple web design. She has an easy to navigate menu and has a short write-up on who she can help and what she can provide. On top of all this, these ladies have paid for their hosting instead of opting for a free hosting website. Let’s explore four elements your writer website must have in order to attract the right client– the high-paying client. While you might think free hosting is easier and readily available, it won’t help you secure high-paying clients. Makes you look like you don’t take freelance writing seriously. Creating a Blogger or free WordPress site seems like you aren’t ready to commit to being a paid writer. Makes you look less credible. How can you expect clients to pay you top-dollar if you don’t even want to cough up some cash for paid hosting? Makes you appear less knowledgeable. Not knowing how to set up your own blog using paid hosting can turn off future clients. They may not think you’re credible to manage their blog content needs. So, if you want to appear professional and demand professional rates, opt for paid hosting when you sign up for a domain. It isn’t expensive – you can get hosting for as little as $50 for an entire year. Don’t let the expense stop you from realizing your true potential. Think of your home page as a business card. Business cards usually have a logo, services provided and a contact number. Stating a problem you think prospects have. This can be anything from 1) no time to blog 2) not knowing how to attract customers with a blog 3) business needing a copywriter to take them to the next level. Presenting a solution to their problem. This means you! How will you help alleviate their problem? Visit several freelance writer websites to see how they make use of their landing page. You can easily do this yourself using the Kiwi Logo Carousel plugin. Your home page should have a call-to-action (CTA). You want a prospect to hire you right? So, why not make it easy for them with a simple CTA? A call-to-action is asking your visitor to do something like contact you or explore your site. You can simply create a link on you home page (like I did), or create a button like Alicia Rades has on her writer website. You can create your own with ButtonOptimizer. A prospect looking for a blog writer lands on your homepage. They read your copy and decide they want to get a hold of you. But, you don’t have anything on your page telling them how they can contact you. The prospect, frustrated, gives up and moves on to another freelance writer site. A good rule of thumb is to prominently display all ways of contacting you throughout your website – not just your landing page. A hire me or services page will be one of the most looked at pages on your site. Many prospects go to your landing page and either go to your About page or your Hire Me page. Both of these pages are extremely important. Your About page should showcase how your background will help future clients with their content needs. Your Hire Me page, on the other hand, should detail the services you provide. Do you provide blog writing? Copywriting? White pages or eBooks? How about ghostwriting? Do you also do editing or social media marketing? You should also mention the topics you have expert knowledge in. If you primarily want to write about finances or weddings, then make sure to mention this in your service page. But, if you have a knack for more than one topic, go ahead and mention all the different areas you like to write about. You might be thinking about displaying your rates on your freelance writer website. The turnaround time: How soon do they need the content? Usually clients who have a 3-5 day turnaround pay a much higher rate than those who have a 7-10 day turnaround time. How many clients I currently have: The more clients I have, the more my time is worth. The topic: If it’s a topic I’m not too familiar with, my rate reflects this. Whether it’s ghostwritten or not: I typically have a higher rate for ghostwritten content than for content written under my own name. If you do end up making your rates public you will find that you will only get prospects that are aligned with your rate. But, for me, I don’t mind getting queries from prospects that can’t afford me. Sometimes I can negotiate a fair rate and other times prospects seek me out again (down the road) with an adjusted budget. Your portfolio page is a place to showcase your work. In the beginning you may not have any published work to show off. So, you may find you don’t need a portfolio page right away. But, once you start building up your portfolio you need a place to keep track of your best work. An ideal place is on your writer website. There are WordPress plugins that you can use like the OTW Portfolio Lite plugin (note: I use the WP Portfolio plugin but it sometimes has issues, so I no longer recommend it). If, for some reason, you feel it’s not necessary to have your portfolio on your website, there are other ways to display your work. On LinkedIn – you can upload your posts and article right to your LI profile. On Pinterest – you can create a special board that shows all your best work. A writer website has much more than a compelling homepage, a hire me page and a portfolio page. Besides your About page and Contact page, you should also have a blog. I equate a freelance writer having a blog to a dentist with a great smile. Would you trust a dentist with a not so hot mouth? Most businesses need a blog writer and what more proof do they need, then to see you’re a credible writer with an active blog? So, what are you waiting for? Get started on your freelance writer website today. I just stumbled upon this gem and before I continue reading through the rest of the series, I have a quick question for you regarding your last point about having a blog. I’ve seen several people say this, but I have one question I can’t seem to figure out. Does the blog need to be about writing and being a writer? 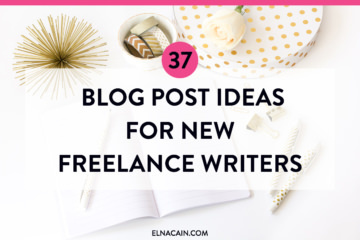 Or can it be a personal blog or another kind of blog that displays your writing niches? I have a millennial lifestyle advice + personal growth blog where I write about personal finance, wellness, personal growth, productivity, and lifestyle topics. I’m still not sure if these are lucrative niches for freelancing but for now, I decided on starting my freelance business focusing on personal finance and health and wellness. My blog touches on a variety of topics in addition to the ones I will be displaying to clients, so I didn’t know if it would seem distracting or irrelevant for my freelance business. Can I reference my current blog or should I create a new one to be on my writer website with a better focus? Thanks so much for stopping by! As for your blog, it’s best to blog in your freelance writing niche or the service you offer (freelance writing). If you go out of that, then create a new blog with that lifestyle topics. But if those topics are relevant to the niche you write and get paid for, then leave it! I stumbled on your post last night while doing my nightly bedtime scroll. I fall into the category of ‘sick of my 9 to 5’ and looking for something more, and that something more is freelance writing. I knew the answer to this question deep down already, but your article really solidified my gut feeling. I have a personal blog that has been my creative outlet for the last few years that is a WordPress.com site but I’ve been afraid to go the self-hosted route – not because of cost, but because of lack of technical skill. Lol. BUT after a little bit of research, it seems easy enough. I’ve been writing content for my potential site for the last few weeks and will work on getting my first 10 blog posts underway as well. I’m SO glad I found your website. I will be checking back regularly. I do have a question though – what self-hosting service did you choose? That’s fantastic you’ve realized what you really want to do! A lot of bloggers are struggling monetizing their blog and if they just look right under their nose (blog writing) they’d realize they can offer their skills to companies! Good for you for going the self-hosted route. There are a ton of tutorials to help you out so don’t be afraid! As for my recommendation, try Site Ground. I’ve heard great things about them. I use a personal server via Digital Ocean, but wouldn’t recommend this to a newbie. If you ever need help you know where to find me! Very informative post. Do you know if I were to transfer from Blogger to my WordPress if I would lose everything? Is this a difficult thing to do? Here is a post and video on the switching over to WordPress. You will lose some things like rank and subscribers to your feed if they don’t manually make the switch and sign up to your new site. I feel it’s worth investing, but weigh the pros and cons and make the decision yourself. Thank you for the great advice, Elna! I know a lot of writers (novelists, though, not freelancers) who use blogger or free wordpress sites, which always surprises me. It doesn’t look professional and if your business is your name, as it certainly is for novelists, then your url should be your author name. Glad you found my tips useful! Yes, I’m thinking about changing my URL to my name. I really love Innovative Ink as it signifies what I do – write innovative content. But, my name is available and I already have the URL, so I might as well use it! I know a lot of writers as well who still use free sites like Blogger. I’m not sure why that’s the case if they really want to make a go out of their business? I hope my post can help them see why. Incredible information. I’ll probably have to read your articles over and over so that I can succeed as an on-line writer which I hope to do one day. Thanks. Glad you found my series helpful to succeed as a freelance writer. While there isn’t one way to break into freelance writing, I thought if I shared how I started, it would at least help someone else! Great post Elna! And very helpful too. I´ve been looking for a portfolio plugin for my WP blog for a while. I am going to try OTW. Glad you stopped by and left a comment. I hope you like the OTW plugin. I actually use the WP Portfolio plugin but I don’t recommended it anymore because I’ve been having issues with it. I hope my post isn’t a slap in the face for you! I want it to be more of a tap on the shoulder kind of feeling! But, I get what you are trying to say. I hope my post did give you enough fire to update your site! This article is fantastic! Thanks for featuring my site. I haven’t had a chance to check out Jennifer’s so I’m glad you included that, too. One thing I’ve noticed on my site is that most people don’t visit my about page. I still think it’s important, but second to my home page, people are most often hanging out on my services page. That’s just a thought, but I know everyone will be different. I find that most people visit my Hire Me page and About page. I went to some local meetings and saw prospective clients go right to my About page and read it in front of me! I saw your post up on Beafreelanceblogger! Great minds think a like! You have really great tips on making your writer website a magnet for clients! Thanks so much! As for the plugins, I suggest you ask in a Facebook group! I don’t know many WordPress Plugins! Sorry!